Nothing gives the outside of your home a fast, impressive facelift like a fresh coat of paint. Whether you want to add a touch of quick curb appeal before you sell or you just enjoy living in a well-kept home, spring is the ideal time to paint your house’s exterior. How often will this task need to be done? It depends on a number of factors, primarily your home’s exterior finish, your location, and the quality of your last paint job. Read all about it. Wood siding should be repainted every 3-7 years, or stained approximately every 4 years. Aluminum siding can go about 5 years between paint jobs, and stucco 5-6 years. New types of materials require less frequent touchups. For example, cement fiberboard siding should need painting only about once in 10-15 years. Brick, if unpainted, only requires occasional cleaning, although you will need to paint the trim, of course. If you do choose to paint the brick itself, a good quality job will last 15-20 years. 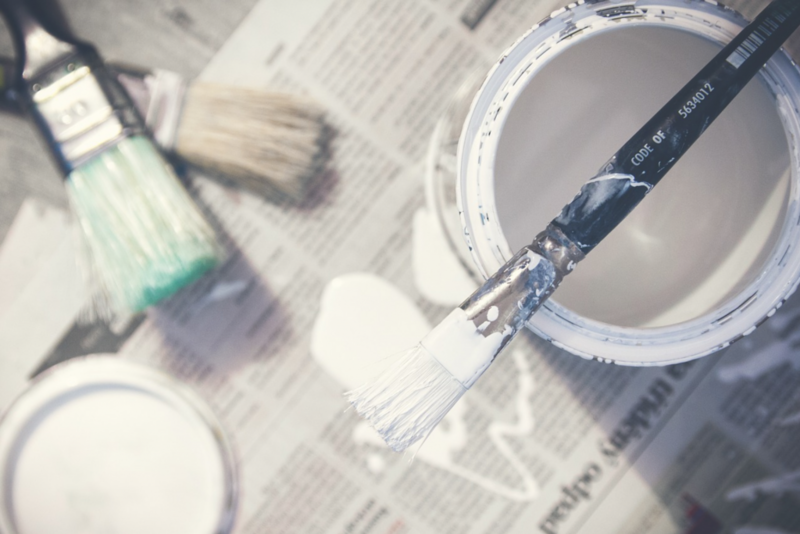 In addition, your HOA standards and the general look and feel of your neighborhood, particularly if you live in a historic district, will help determine how frequently your home needs to be repainted. HEADS UP: Don’t try to save money by putting off exterior painting. All you’ll end up doing is making the prep work harder and the job ultimately more expensive. Damaged paint or exposed patches of bare wall are an urgent signal that you should paint ASAP to protect your home. What Affects Exterior Paint’s Durability? Previous Paint Job — A major factor in how long you can go before repainting your house exterior is the quality and color of the paint used last time, as well as the number of coats that were applied … and even whether your house was painted on a sunny or overcast day. High quality, lighter shades of paint tend to last longer. Ditto for two or three coats as opposed to a single one and paint that was applied when the house was in shade. One hundred percent acrylic paint is the most durable and resistant to fading. Climate — If you live in an area with hot, sunny summers or your home is unsheltered by trees, the strong sunshine will cause paint to bubble and fade more quickly (especially for darker hues, synthetic pigments, and oil-based paint). Other climate conditions that age paint are harsh winters, frequent storms, extreme humidity, blowing sand, or salty ocean breezes. Maintenance — Take good care of your home. Inspect its exterior regularly for danger signs. These include dampness, rot, chalkiness, termite or other infestation, and mold. Have these treated promptly, and keep out moisture by sealing and caulking as necessary.